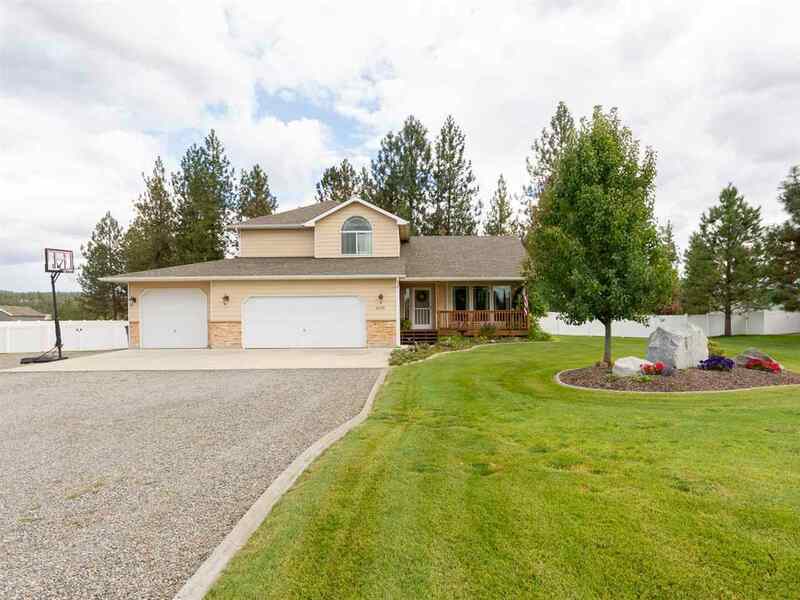 6278 Jenna Dr, Nine Mile Falls, WA.| MLS# 201824626 | Cooper Realty Services (509) 599-1111 | Spokane WA Real Estate | Contact us to request more information about our Homes for Sale in the Spokane WA area. Amazing 4 level home on beautifully manicured 1 acre lot. Home has 4 bed 3 bath, 2 family rooms, 3 car garage plus a 30 by 24 shop. This is home is in turn key condition! Park like setting with fenced backyard, including raised garden beds, hot tub, deck, beautiful planting&apos;s throughout. Bridal trails, lake access. Don&apos;t miss seeing this wonderful home.